Korabo is four years old! Happy fourth birthday to us! 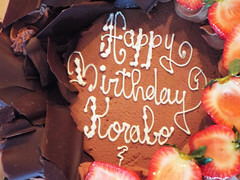 Last month, Korabo turned four years old. We could not have been so successful if not for our friends, family, supporters, and especially our students and performers. 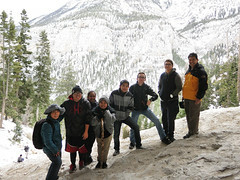 To thank our students for their devotion and energy, we got a couple of rooms at the Resort at Mount Charleston and partied all weekend. We ate, drank, and played games for three days and two nights. We also got in a couple of hikes. Luckily for us, it snowed up on the mountain. Some of our guys saw snow for the first time. Some saw snow for the first in a long time. 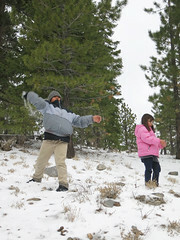 Some got hit in the back of the head with a snowball. We had a blast and can’t wait til our next birthday.